An office fit-out is a big investment, and it’s quite an upheaval for employees, so make sure your goals are clear right from the start. A lack of clarity early on can cost a business dearly as decisions get delayed, and sign-offs are endlessly batted around departments. Get together a group of stakeholders from all departments. This is the team that will represent all the different perspectives from across the business, and serve as conduits for ongoing information. Most important, appoint a clear-headed project manager. A clearly thought out brief can save contractors time, which saves the business money. Use the stakeholders’ group to consider everything that the fit-out needs to deliver. Do you need suspended ceilings to create cabling storage? 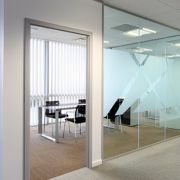 Would glass partitioning enhance the existing natural light? Would sound insulation aid productivity? There are a number of useful steps you can take when making your decision. Always get quotes from a range of contractors, and take note of how they put the quote together. Did they suggest they visit the office? Do they engage imaginatively with the brief? Can they offer you flexible scheduling? Once your contractor has been chosen, they will start to turn your ideas into practical suggestions, textures, colours and floor plans. It’s essential to keep the information flow fluid at this stage, giving feedback regularly, and providing information requested as punctually as possible. Once the designs are signed off, it’s important to start planning with your contractors for minimal disruption throughout the fit-out period. Your stakeholders’ group is invaluable at this stage as they can brief their departments, and manage the pre-planning phase. 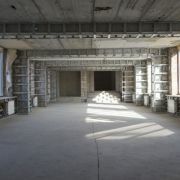 Once the fit-out team arrive there’s a temptation to breathe a sigh of relief and step back. From our experience, that can be disastrous. Stakeholders need to be engaged in the fit-out of their area, to ensure that what they envisaged is what is being installed. At StanLil, the installation team will always sign off in advance on whether or not the business requires furniture assembly, painting, flooring and lighting. It’s amazing how many businesses don’t factor this in, so think through the fit-up, right up to the first day of ‘business as usual’! This is a hugely important step for us, and for the clients we work with. Before we sign off on a fit-up, we check that the design is working as envisaged. 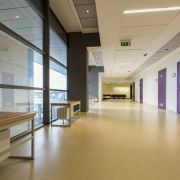 The lightweight, dry lining materials we work with, make adjustments to spatial configurations an option we can offer. It’s not until we see a smile on the faces of our clients that we know we’re ready to handover! The StanLil team has created fit-outs for global businesses and start-ups; we understand what an upheaval a fit-out can be, and we do all we can to mitigate against major disruption. StanLil contractors bring a huge amount of experience to each job, and can offer clear advice and guidance throughout the fit-out process. Finally, we work with adaptable materials that make fit-outs fast, efficient, and flexible. We know where businesses’ priorities lie, and we work to support them.